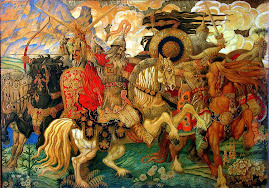 The Whore of Babylon was on a tour of the south Caucasus just recently. The trip, however, was marred by bloodshed along the Armenian-Azerbaijani border. 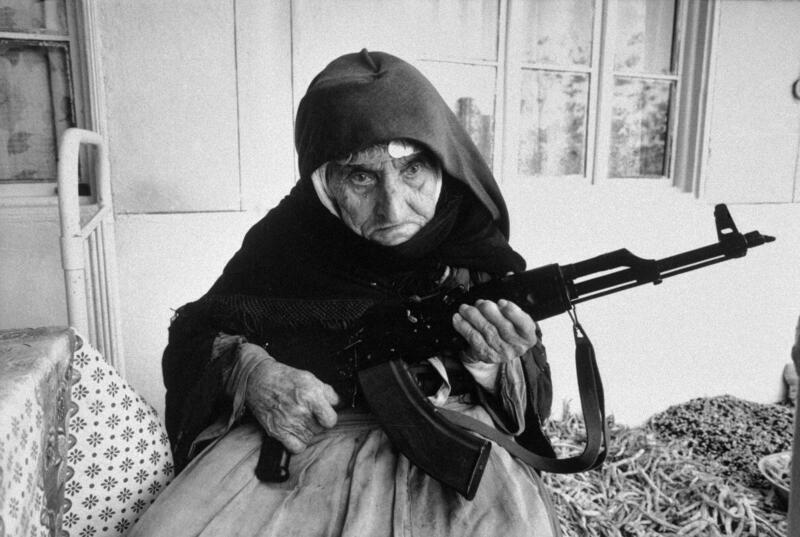 Her unholy presence witnessed one of the more serious clashes between Armenian and Azeris forces in which more than ten combatants were killed on both sides. Although it's difficult to figure out exactly what animals in Baku are thinking, if I had to guess, I would say that this latest Azerbaijani aggression against Armenia was meant to show her unholiness that Baku is very serious about reclaiming Nagorno Karabakh. But there is yet another aspect to Baku's aggressive actions. Twenty years of state-sponsored anti-Armenia hysteria in Baku is now bearing rotten fruit. Aliyev is feeling forced to act. Consequently, tensions along the Armenian-Azerbaijani border have been very high in recent times. Despite their aggressive public rhetoric and military skirmishes of limited scope, the undeniable fact is that Azeri officials fear starting major military operations against Artsakh and/or Armenia because they realize that the probability for losing more territory remains very high. Needless to say, Azeri officials also fear that Russian-backed Armenian forces will target Baku's energy distribution network. In other words, despite their periodic barking and aggressive posturing Azeri officials are very careful about not making a Saakashvilian error. Militarily speaking, Armenia's armed forces is more than capable of driving deep into Azeri territory, cutting off Baku's oil/gas flow to the west, and with Russian blessings perhaps even capable of linking-up with the Russian Federation. 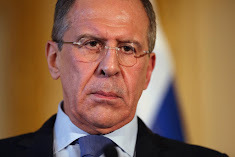 Moreover, and perhaps more importantly, Moscow has made it very clear that it would not tolerate a military solution to the territorial dispute. It should also be added that Azeri officials also fear their population. If officials in Baku don't somehow place Artsakh back under Azeri rule in the near future their self-destructive peasantry will one day rise up and take-out their anger and frustration on them. To put it mildly, Aliyev is in a very unenviable and difficult position. As a result, the West is being careful about giving Baku too much encouragement or support. Therefore, we need to look at the West's expressed concerns about the firefights along the Armenian-Azerbaijani border from within this context. Now, back to the unholiness's appearance in Yerevan. When reading the Western inspired articles of propaganda outlets known as Asbarez and Hetq below this commentary, disregard the superficial reporting on the Whore of Babylon's visit to Yerevan per se and pay attention to a curious psyops event that saw the "honoring" of various Armenian activists by a conglomeration of Globalist entities. The ceremony of course took place in the American embassy in Yerevan and it drew out many of Washington's faithful servants in Armenia. For decades the empire has had departments that study and assess nations around the world. Servants of the empire, both western and local, closely observe leaderships, peoples and cultures around the world, seeking weak spots to exploit. The individuals honored during the event are the servants of those department I referred to above. These servants of Washington are tasked with exploiting Armenia's flaws and using them as a political weapon against the fledgling Armenian state. The honorees are only a representative sampling of a very long list of activists and agents that faithfully and unconditionally serve the American empire's agenda in Armenia. 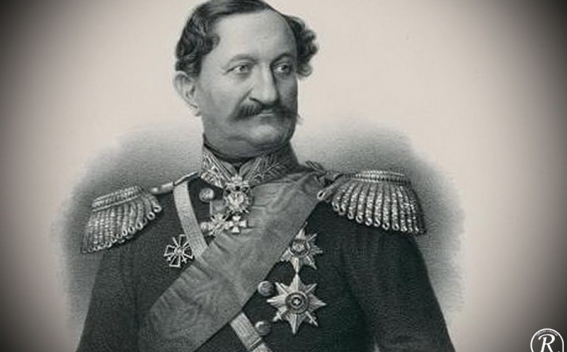 One of Washington's most faithful servants present during the event was Artur Sakunts. Curiously, Tsovinar Nazaryan, another honoree, is a Washington-trained pseudo-journalist and a close friend of gay activist Karen Hakobian. As I have said in the past, these people are a close-knit community with a insidious political task. Behind their palatable humanitarian or nature preservation rhetoric lurks a very dangerous imperial agenda. Having said that, it should also be said that they are not all traitors, at least not in the traditional sense of the term. As in the case of the always-smiling-Western-funded-Syrian-Armenian activist Yeghia Nersesian, chances are that these people are too self-absorbed, too politically stupid, too emotionally/psychologically damaged or simply too hungry for financial support to realize that they are literally serving the devil. In fact, the West's political strength in targeted nation such as Armenia lies with these types of individuals that are willing to blindly serve them for one reason or another. Nevertheless, regardless of their intentions, those in Armenia that maintain any kind of connection with the West today need to be placed under surveillance by Russian and Armenian counter-terrorism agencies. The great German philosopher Friedrich Nietzsche once said: "That which does not kill us makes us stronger". Similarly: If our Western funded activists, people with psychosexual disorders, pseudo-journalists and democracy-now(!) morons do not end up killing Armenia, they may just make her stronger. Nevertheless, beware of wolves in sheep's clothing. Beware of their lofty rhetoric, beware of their seemingly humanitarian agendas and beware of their impressive resumes. These people are the tools that the rabid empire is using to undermine targeted societies. Armenia has been one of the West's targets for many decades. The troubling irony is that practically every single one of Armenia's "rights" activists are in one way or another under the payroll of an empire that will never recognize the Armenian Genocide and will never see Armenia as a true ally. Armenia is too small, too poor, too remote, too weak, too landlocked, too pro-Russian and too Iran-friendly for the West to take it seriously. Moreover, having serious problems with the Western world's regional allies such as Turkey, Georgia and Azerbaijan does not help Yerevan's standing in Uncle Sam's eyes either. The type of event we saw play-out in the American embassy in Yerevan is merely one of the many manners with which the empire exploits it well placed assets within targeted nations. 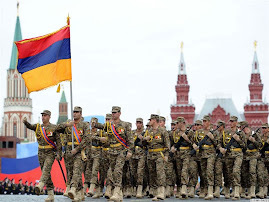 By taking Armenia's natural growing pains and laying it at the feet of the emperor, what Armenia's self-destructive peasants and foreign mercenaries accomplish is participating in Washington's decades long information war against Armenia. By taking Armenia's internal matters and displaying it to the visiting imperial entourage, what Armenia's self-destructive peasants and foreign mercenaries accomplish is the furthering the West's dangerous agenda in Armenia. Gatherings such as this is how Western powers organize, inspire, fund and sometimes arm so-called "opposition" groups similar to what they have done in Serbia, Pakistan, Libya, Syria, Afghanistan and Iran, to name only a few places that they have turned into failed states. Having said that, the only ones I blame here are the Armenian participants in these types of matters. Armenians need to somehow wake-up and realize that Armenia's natural growing pains are being exploited by imperial powers to undermine the fledgling republic due to Armenia's strategic partnership with Russia. Armenians need to somehow wake-up and realize that they are being exploited by imperial interests. Armenians in the service of Western interest need to realize that they are not helping Armenia by carrying out Western projects in the country. 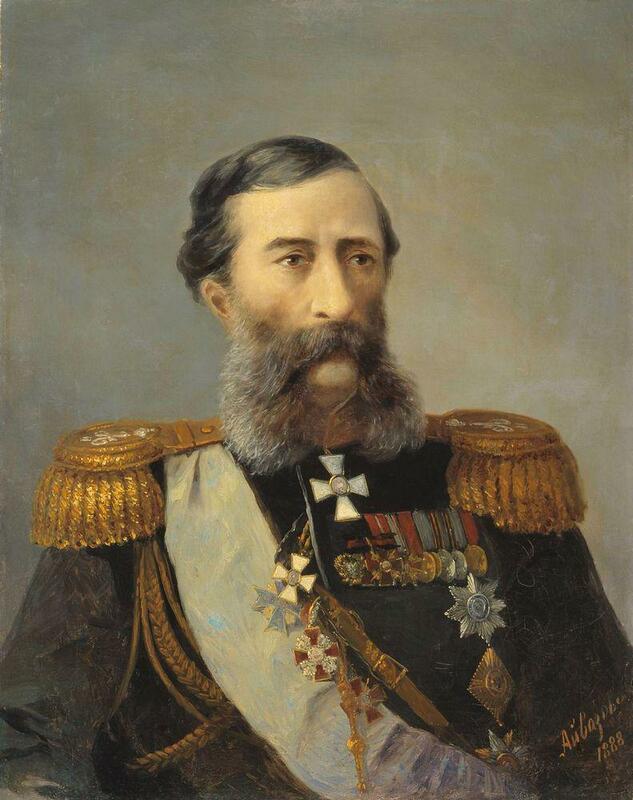 Armenia's natural growing pains are being exploited by imperial powers (and their Armenian servants) to undermine the fledgling republic due to Armenia's strategic partnership with Russia and its good relations with Iran. Had Armenia's "corrupt" leadership been comfortably in bed with the leadership in Washington, London or Brussels, none of our nation's doom and gloom activists today would have been given the opportunity to spew their poison against our embattled homeland. Since some farsighted leaders in Yerevan have courageously made the decision to remain firmly within Russia's political orbit, Washington has its lackeys running around Armenian society acting hysterical over every single sociopolitical matter in Armenia. Our "rights activists" and "opozitsia" types need to shed their Western connections and funding if they want to be taken seriously; they need to keep their fight strictly in Armenia; they need to provide rational solutions and alternatives to the problems at hand; instead of calling for the whole government or the president to step down, they need to begin targeting select individuals known to be engaging in crime or corruption; they need to figure out a way to work with the government or within the government; they need to be clearer in their demands. Armenians need to understand that if the current government is overthrown it wont be Armenian patriots that will be taking over. Those waiting on the political sidelines in Yerevan to exploit political unrest in the country are those who serve directly and indirectly Angle-American-Jewish and Turkish interests. Armenians need to understand that Western financial aid is in fact a form of bribe and it comes with too many strings attached. Moreover, accepting money from Western institutions or governments is like accepting money for a loan-shark. As bad as it may seem at times, the problems Armenia has been going through are natural growing pains. Historically speaking, twenty years is merely a blink of the eye. Due to Armenia's particular circumstances - bad geographic location, economic blockade by NATO member Turkey and warlike situation with Azerbaijan - its growing pains may at times be severe. We must not lose sight of this. We must also not lose sight of the fact that most nations on earth today (including nation in much better circumstances than Armenia) are in fact much worst-off than Armenia. Armenia has in fact made notable progress despite all the odds against it. Who gave Washington the right to judge nations? Who says the political West is the standard all the rest have to follow? Why do we care what politically motivated Western organizations have to say about Armenia's ranking in anything? Was the Western world born this developed, this progressive or this wealthy, or did it have to travel a very long, bumpy path to get to where it is today? The Western world, including the United States, took hundreds o years to reach where it is today. In fact, the Western world is where it is today due to genocide and mass scale human exploitation and wars of plunder. The Western world has severe forms of corruption. It can be argued that corruption in the Western world is by-far the most egregious, albeit more nuanced and sophisticated. The main difference between corruption in the West and corruption in a place like Armenia is that corruption in the developed West is reserved for the political/financial elite, whereas in an underdeveloped place like Armenia it appears all layers of society. Moreover, Armenia is tiny, therefore any form of wrong doing can immediately be seen or felt. Through legislation, the practice of corruption has evolved to become fully institutionalized in the Western world. Therefore, in the West, corruption is not for the common folk. Corruption in the United States, for instance, is reserved for the empire's elite entities (e.g. military industrial complex, Zionist/Jewish groups, pentagon, oil industry, Wall Street, pharmaceuticals industry, etc). Who gave the political West the right to criticize and attack nations that are not as developed? What right does the West have to impose its system upon others? Why do tyrannical nation that are allied to the West get a free pass while those who are not politically aligned to it cannot do anything right? What right does the West have to rate, label or categorize any nation? And how foolish are the rest of us to actually listen to what they say? Similar to what imperial powers did in the past with religion the very notion of democracy and human-rights today have been weaponized by Washington. As a matter of fact, everything today is becoming weaponized by Washington. Money is weaponized. Religion and religious cults are weaponized. Energy is weaponized. Food is weaponized. Atheism is weaponized. Scientific research is weaponized. Gay rights is weaponized. Feminism is weaponized.The news is weaponized. Entertainment is weaponized. Humanitarian aid is weaponized. The English language has become weaponized. Globalism has become weaponized. Fighting corruption has become weaponized. Anything and everything that can in anyway be used against a targeted nation for a political and/or economic purpose is systematically becoming weaponized by Washington. The thing called democracy for an immature nation like Armenia can very well prove fatal. As the events of early 2008 clearly revealed to us, Armenians are not yet politically mature enough to actually be given the responsibility of electing their leadership. We have seen the destruction "democracy" has visited upon undeveloped or underdeveloped nations throughout the world. Which may be why some vulnerable nations on Washington's black list are being prescribed a very heavy dose of democracy these days. A nation like Armenia, just coming out of under a thousand years or Asiatic/Islamic/authoritarian rule simply cannot have the proper national institutions with which to flirt with a liberal democratic process. For the foreseeable future, a Russian style - top heavy - democracy or a benevolent dictator is what Armenia desperately needs. 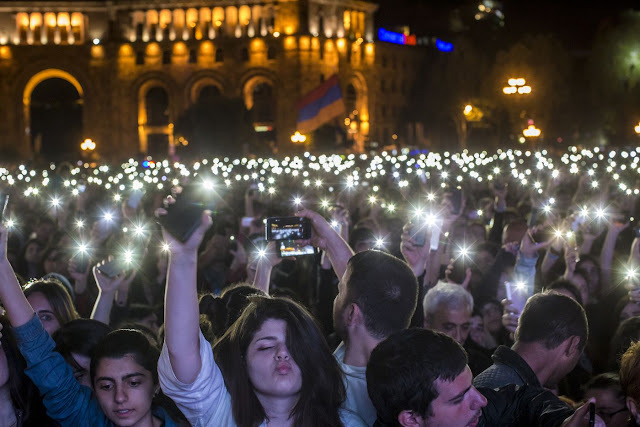 Similar to the situations in nations such as Greece and Italy, corruption and lawlessness in Armenia is firmly rooted in the people's mindset and the nation's culture. Therefore, toppling the Armenian government will not solve the problem of corruption in Armenia. Governments are an accurate reflection of their constituency. When we look at the Armenian leadership, what we see is an accurate reflection of the population's character and nature. Besides which, corruption in any society cannot be eliminated, it can only be managed. Diasporan Armenians need to stop treating Armenia as their personal laboratory experiment or their exotic playground. Diasporan Armenians need to realize that those among them that have gotten into trouble in the country are the ones ones that have arrogantly or foolishly bitten more than they could chew. Due to Armenia small size, its growing pains (domestic problems that are normal in much of the world) seem magnified. The appearance of severe problems in Armenia are often times simply matter of perception, sometimes a matter of exaggeration and sometimes a matter of Western propaganda. In the irrational/naive/utopian pursuits of building the Armenia of their fantasies, a significant portion of Armenians today are actually damaging the Armenia of our reality. Armenia's many natural growing pains need to be addressed rationally, responsibly, objectively, constructively, with patience and, more importantly - free of Western manipulation! What Armenians need to realize is that Armenia needs political and social evolution and not a Western sponsored revolution. The Cold War is long over. It is time to wake-up from our deep sleep and see that Washington, the political West, the Anglo-American-Zionist global order has become a source of evil around the world. There are no rational excuses today for collaborating with the political West. Due to Western interventions around the world the global community today stands on the brink of a major global catastrophe. Any Armenian that maintains any ties with the political West is ultimately a traitor to the Armenian homeland, regardless of their intentions. Therefore, such men and women need to be placed under constant surveillance by Armenian/Russian counter-terrorism units. Moreover, Yerevan needs to either shutdown or closely monitor any organization inside Armenia that is being funded by Western countries regardless of the nature of their activities. Armenians must finally recognize that the last thing on the minds of Western officials is nature preservation, human rights, democracy, freedom or gay rights. Armenians must learn that the political West is simply interested in pushing Russia out of the region, defeating Iran and exploiting Central Asian energy. Russia, Iran and energy exploitation is what has brought the Western world into the Caucasus. Armenians must finally understand that the political West will always side with Turkey, Georgia and Azerbaijan due to their strategic location, size and natural wealth. Armenians must understand that in the grand political scheme of the current world we all live in, Armenia is nothing but a nuisance for the political West. Armenians urgently need to stop participating in Washington's destructive games regardless of how well intentioned they may seem. What happened at the American embassy in Yerevan last week was a clear show of force by Washington. It is election year in Armenia and the empire is clearly marking its territory by publicly honoring its servants. The Whore of Babylon, in cooperation with various Globalist entities in Yerevan, are revealing to the Armenian authorities the extent of their power over the Armenian sheeple. Incidentally, this show of force came merely a day after American/NATO trained Azeri militants killed several Armenian soldiers and wounded several others in Armenia's north-eastern Tavush district. Although I realize that Washington/NATO/British Petroleum could put an end to Baku's aggressive behavior with a single phone call, I am not implying that this latest Azeri aggression was directly ordered by Western officials. However, in my humble opinion, the attack on Armenian soldiers and the public encouragement of Armenia's Western-funded political activists by the Great Whore serves to send a very clear message to Yerevan: You better continue paying attention to us because we control the situation both inside and outside your borders. The British Ambassador to Armenia, Jonathan Aves, recognized the Deputy Chief of Police, Major-General Artur Osikyan, for his contributions to police reform, especially regarding improvements to the police educational system. “Artur Osikyan has helped lay the foundation for transparent and accountable police force that works for the citizens of Armenia,” Ambassador Aves said. The EU Head of Delegation to Armenia, Traian Hristea, awarded environmental activists -- Apres Zohrabyan, Yeghia Nersesyan, Gor Hakobyan, Mary Khachatryan, and Ruzanna Grigoryan -- for their grassroots campaign to promote environmental conservation in Armenia. "It is the commitment and perseverance of many civic activists that led to important victories for the environment this year. With this award, we would like not only to honor their work, but also to promote their future efforts in Armenia," said Ambassador Hristea. Secretary of State Hillary Rodham Clinton pledged that she will press Azerbaijan with “serious questions” regarding the killing of three Armenian soldiers ahead of her visit on Monday, reported panorama.am. 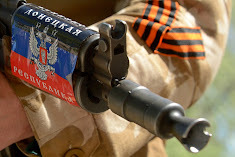 Hours before her scheduled arrival in Yerevan, Azeri soldiers violated the cease fire and killed three Armenian soldiers in the Tavush district of Armenia. “I was saddened to hear the latest news,” Clinton told a news conference at the Presidential Palace in Yerevan, commenting on the ceasefire violation by Azerbaijan recorded on Monday. Clinton expressed concern over death of soldiers. “Force cannot resolve the Nagorno-Karabakh conflict, force must be ruled out.” “I will visit Baku the day after tomorrow, and I have serious questions to ask the Azerbaijani leader. Both me and the Co-Chairs of the OSCE Minsk Group are convinced that the Nagorno-Karabakh conflict can be resolved exclusively by peaceful means, and a way should be found in this direction,” the senior U.S. official noted. She called on the sides to refrain from use of force, because there is no military solution to the Nagorno-Karabakh conflict. “The only path for a solution is through the negotiating table,” Clinton added. Armenia’s Foreign Minister Eduard Nalbandian also spoke about the cease fire violations at the press conference. “I want to add on the first question that we strongly condemn the violent provocations that are organized by the Azerbaijani side on the Armenia-Azerbaijan border which, unfortunately, resulted in victims and wounded, and that Azerbaijan is not satisfied by the fact that every day there are violations by Azerbaijanis on the line of contact of Azerbaijan and Nagorno-Karabakh. They are trying to transfer the tension, to sharpen the situation onto the border between Armenia and Azerbaijan which greatly undermines the negotiation process, as well as it is threatening the regional stability. The responsibility of all the possible consequences of all this lies on Azerbaijan,” said Nalbandian. Outraged at the latest cease-fire violation and the death of three Armenian soldiers, Rep. Adam Schiff issued a statement urging Clinton to condemn the attacks. “This latest outrage by Azerbaijan’s military makes it even more important that Secretary Clinton condemn these belligerent actions during her visit to Baku later this week. Azerbaijani provocations along the Line of Contact are a direct result of the war mongering rhetoric of the Aliyev regime and they must cease. We should fully apply Section 907 and prohibit the transfer of any arms or dual use items to Azerbaijan,” said Schiff. Nalbandian and Clinton were also asked about the Turkey-Armenia protocols. Clinton reiterated her position that the “ball is in Turkey’s court.” “Negotiations are not conducted, negotiations cannot be conducted, as the negotiations are over and they had resulted in signing of the protocols, which Turkey refuses to respect and implement, trying to put forward preconditions. Turkey has no right to put preconditions in this issue. This position is shared by the international community,” explained Nalbandian. Clinton arrived in Armenia Monday afternoon and after a reception at the US Embassy (see below) she met with President Serzh Sarkisian. “Historic ties between the two nations, large Armenian community of U.S. as well as the ideas of freedom, justice and democracy have promoted establishment of good relations between the states,” Sarkisian told Clinton, adding that in the 20 years of diplomatic relations between the two countries, relations had been developing gradually. In assessing the US role in the region, Sarkisian said bilateral relation are built on the basis of mutual respect and confidence, the presidential press service reported. “I want once again thank the United States for assisting Armenia during the last 20 years,” he said. In her turn, Secretary Clinton noted it is honor to her to visit Armenia in the year marking the 20th anniversary of diplomatic relations between the states. Clinton said that Washington greatly values its partnership with Armenia, and continues to support the development and increasing welfare of the Armenian people. Clinton stressed that she, personally, and President Obama appreciate contacts with Armenia and expect continuation of the dialogue. Clinton added that she was well aware of how hard the president has worked to find solutions to regional problems concerning Armenia. Thus, the United States is committed to assist and support his ongoing activities as an excellent leader, she emphasized. Clinton, joined the U.S. Embassy, Counterpart International, the British Embassy, the OSCE, and the EU to honor individuals working to promote human rights, accountable governance, and free speech in Armenia at the Universal Rights Awards Ceremony at the U.S. Embassy in Yerevan. Secretary Clinton delivered remarks at the event and met privately with the award recipients. The Universal Rights Awards Ceremony was the first multi-mission initiative to highlight the contributions of Armenia’s civil rights activists, government officials, and media representatives to the promotion of human rights. Armenian government officials, foreign diplomats, NGO representatives, and the press attended the event. The EU Head of Delegation to Armenia, Traian Hristea, awarded environmental activists — Apres Zohrabyan, Yeghia Nersesyan, Gor Hakobyan, Mary Khachatryan, and Ruzanna Grigoryan — for their grassroots campaign to promote environmental conservation in Armenia. “It is the commitment and perseverance of many civic activists that led to important victories for the environment this year. With this award, we would like not only to honor their work, but also to promote their future efforts in Armenia,” said Ambassador Hristea. Did Armenia and Azerbaijan make war in early June to promote peace? Some analysts believe the recent sharp escalation of violence along the Nagorno-Karabakh contact line was specifically intended to get international mediators’ attention. Political experts in both countries say US Secretary of State Hillary Rodham Clinton’s June 4-6 visit to the South Caucasus was the catalyst for the bloodiest fighting around Karabakh in recent memory. Azerbaijan claimed to lose six soldiers and Armenia four. The two countries signed a ceasefire in 1994, ending six years of conflict over the Karabakh enclave. The two armies have continued to snipe at each other for the past two decades, as negotiations on a lasting political settlement remain stalemated. The escalation turned the 24-year Karabakh conflict into the main topic of public interest during the US secretary of state’s visits to Yerevan and Baku, with residents on both sides at times swept up by rumors about an impending resumption of all-out warfare. Analysts in Baku maintain that the flare-up in fighting during Clinton’s tour was not a mere coincidence, but a "message" to Washington that the Nagorno-Karabakh conflict is not frozen and that greater American attention to the problem is needed. "Clinton was shown [by both sides] that it is an unresolved conflict and could escalate at any time," said independent military expert Jasur Sumarinly. Azerbaijan, in particular, has one strong reason for generating more American input in the peace process: Russia. Officials in Baku are skeptical that Russian President Vladimir Putin is interested in continuing the active mediation efforts that his predecessor, Dmitri Medvedev, undertook to narrow the gap separating Azerbaijani President Ilham Aliyev and Armenian President Serzh Sargsyan, Azerbaijani analysts say. Russia’s military ties to Armenia underline that impression. 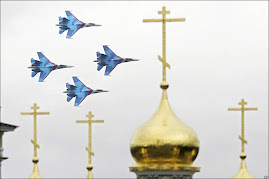 On June 10, Interfax news agency reported that Russian fighter jets had increased by 20 percent their training missions over Armenian airspace. In addition, Russia keeps thousands of troops stationed in the northern Armenian town of Gyumri and also monitors the country’s borders. Sumarinli believes that the flights indicate that Russia is trying to show Azerbaijan that Armenia will not be alone if war in Karabakh resumes. “It puts Baku into a difficult situation,” he said. 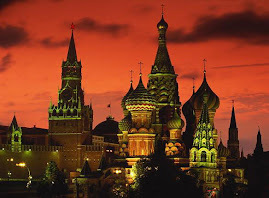 Difficult, maybe: but Baku still feels it can push back against Moscow. In what was perceived as a jab at the Kremlin, Azerbaijani Deputy Prime Minister Ali Hasanov drily commented on June 8 that “probably some countries which patronize Armenia were not happy with the visit of the US secretary of state and organized” the cease-fire violations, Azerbaijani news outlets reported. The Karabakh peace process is guided by the OSCE Minsk group, which comprises representatives from the United States, Russia and France. Diplomats from all three states expressed concern about the early June outbreak of violence. Analysts in Armenia agree that the cease-fire violations occurred because of Clinton’s presence in the region, though they attribute the outburst of violence to Azerbaijan alone. “The incidents at the frontline were the Azerbaijani government’s action to demonstrate their disagreement with the status quo,” asserted military expert Sergei Minasian, deputy head of the Yerevan-based Caucasus Institute’s Political Studies Department. Armenian forces continue to occupy approximately 20 percent of Azerbaijan’s internationally recognized territory, in addition to controlling Karabakh proper. Baku political analyst Elhan Shahinoglu is doubtful that the recent ceasefire violations will lead to bolder US involvement in the peace process. "Obama's administration has never paid much attention to the Karabakh problem,” said Shahinoglu, who heads Baku’s Atlas Research Center. “I do not think it will change if Obama is re-elected this year.” Secretary of State Clinton stated in Baku that new proposals for a Karabakh settlement would be presented at a June 18 meeting in Paris between Armenian Foreign Minister Eduard Nalbandian and Azerbaijani Foreign Minister Elmar Mammadyarov. Analysts in both countries scoff at the notion that the existing deadlock in negotiations will be broken any time soon. “We can expect no miracle,” commented independent political analyst Yerevand Bozoian. “Armenians and Azerbaijanis have different visions for the Karabakh conflict settlement. … In fact, this issue has no resolution, whatever proposal may be put forward." A tragic pattern of bloody engagements continues to recur along the Armenia-Azerbaijan border at great human cost. Whenever high level visits or international meetings are scheduled on the Artsakh (Karabakh) conflict, Azerbaijan unfailingly initiates attacks on Armenian border guards causing many casualties. Azerbaijan’s leaders hope that such hostile action would impress upon the mediating countries the urgency of resolving the conflict by pressuring Armenia’s leadership to make territorial concessions on Artsakh. 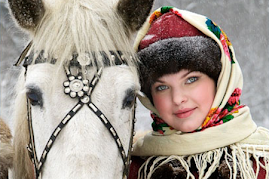 Last week, Secretary of State Hillary Clinton visited the Caucasus republics. On the day of her arrival in Yerevan, Azeri forces attacked two Armenian border posts, killing three soldiers and wounding many others. In the ensuing days, more Azeri attacks took place, drawing Armenian return fire, resulting in scores of casualties, mostly on the Azeri side. Armenians expected Secretary Clinton to strongly condemn Azerbaijan after its initial attack. Clearly, the Azeri military action was timed to coincide with her visit to Armenia. Yet, regrettably, the Secretary merely urged both countries to refrain from “the use of force,” stressing that the Artsakh conflict “can be resolved exclusively by peaceful means.” Clinton’s totally unacceptable statement equated the aggressors with the victims. Moreover, by not condemning the Azeri attacks, she actually emboldened Azerbaijan to commit further acts of aggression against Armenia. Since it is common knowledge that Azerbaijan orchestrates such attacks to coincide with visits of high-ranking officials to the region, Secretary Clinton should have warned Azerbaijan, before embarking on her trip, not to initiate any hostile action while she was in the area. The State Department should have advised the Azeri government that any breach of the ceasefire during the Clinton visit would be personally embarrassing for the Secretary of State, leaving her no choice but to cancel her trip to Baku. Even if such a warning was not issued in advance, Clinton should have refused to go to Baku after the Azeri attacks. Unfortunately, the Secretary placed a higher value on Azeri oil than on Armenian blood. By her actions, she also undermined the international prestige and moral standing of the United States! As this could be Clinton’s farewell visit to the region — she is retiring from public service later this year — it is regrettable that she will leave behind a legacy of violence and conflict rather than peace and reconciliation. The US Secretary may have come to Yerevan and Baku to encourage a negotiated settlement to the Artsakh conflict, yet she left the region more destabilized than before. Another factor that has encouraged Azerbaijan to continue its attacks is the inadequate Armenian response to the countless ceasefire violations since 1994. Armenians will be unable to stop Azeri aggression simply by firing back. The Aliyev regime should be made to understand that it would pay a heavy price for breaching the ceasefire. Rather than simply returning fire, the Armenian response should be to neutralize the Azeri military positions responsible for initiating the attacks. – Respond by targeting Azerbaijan’s petroleum industry, disrupting its oil and gas pipelines. The best defense is a good offense. – Take preemptive action to neutralize Azeri snipers who regularly target Armenian border guards and civilians in nearby villages. – After each attack suspend peace talks with Azerbaijan for an indefinite period. One cannot talk peace and fight at the same. – Demand that all countries refrain from the sale of weapons to Azerbaijan. 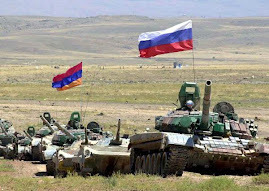 – Urge CSTO (Collective Security Treaty Organization), a defense-alliance that includes Armenia, Belarus, Kazakhstan, Kyrgyzstan, Russia, Tajikistan and Uzbekistan, to warn Azerbaijan that any further attacks on Armenia would trigger a collective military response from all CSTO members. – Declare that Turkey’s support for Azerbaijan in the Artsakh conflict constitutes a hostile act, and hence withdraw Armenia’s signature from the Armenia-Turkey Protocols. – Recognize the Republic of Artsakh as an independent state and invite other countries to do likewise. President Saakashvili said in televised remarks shortly after his joint news conference with U.S. Secretary of State Hillary Clinton, that there had been three “very important messages” from the United States. “First, key components of [U.S. assistance] for strengthening Georgia’s self-defense capabilities and that is very important,” he said. He also said that “very concrete” proposals have been announced during the visit of the U.S. Secretary of State, which “means that we are on the right path.” Secretary of Georgia’s National Security Council Giga Bokeria hailed Clinton’s visit as “extremely successful and very important” for Georgia and “for strategic relationship between our two countries.” He said that as the visit resulted into taking “concrete steps in the field of security and defense” cooperation, aimed at “increasing our self-defense capabilities”. He also stressed on importance of high-level trade dialogue with the United States, which was opening up an opportunity for a possible free trade agreement with the U.S. The high-speed maneuvers off the coast of Baku similar to those Petty Officer 2nd Class Mike Jensen said special warfare combat crewman would use to evade enemy fire--highlighted a visit here by participants in the 2004 Joint Civilian Orientation Conference. Spinning "donuts" in the Caspian Sea aboard special warfare rigid inflatable boats provided a thrilling introduction to Navy special operations for a group of U.S. civilian leaders here June 9. The U.S. civilians' visit here was part of their whirlwind visit this week to military sites to observe U.S. military operations and meet the men and women who carry them out. The conferees, from business, academia and local governments throughout the United States got a close-up view of cooperative training between U.S. Navy SEALS and their Azeri counterparts. According to Army Brig. Gen. Thomas Csrnko commander of Special Operations Command Europe, the joint combined exercise is the part of an ongoing program to promote cooperation and understanding between the two countries' militaries. This was the third three-week training session between U.S. Navy SEAL Team 2's Hotel Platoon and Special Boat Team 20 from Little Creek Amphibious Base, Va., and the Azeri Navy's 641st Special Warfare Naval Unit, headquartered here. Capt. 1st Rank Zaur Kaziyev, director of Azeri Naval Intelligence, told conference participants the training is "a big step forward" for Azerbaijan as it sets its sights on qualifying for NATO membership. The country currently participates in the Partnership for Peace program, which helps prepares countries meet NATO requirements. "This training forges friendships and enhances cooperation between Azerbaijan and the United States," Kaziyev said. "I hope to see more of it in the future." Increased cooperation between the two countries is critical, explained Crsnko, as Azerbaijan gains strategic importance and becomes increasingly important to the stability of Eurasia. A pipeline that will transport oil from the country's largely untapped offshore reserves to Turkey is expected to be completed next year, and a gas pipeline is also under construction. Petty Officer Nick Rappo said he's encouraged by the skill and motivation he's witnessed among the Azeri SEALS participating in the combined training qualities Csrnko said will become critical for them to protect their country's pipelines. "These guys are highly motivated and extremely eager to learn," Rappo said. "We've built a rapport and established a strong working relationship." During their visit to the 641st Special Warfare Unit's training facility, U.S. civilian leaders witnessed snapshots of the cooperative training, including close-quarter combat drills and a stress course that requires shooters to race the clock as they move over, around and even under obstacles while engaging targets. The civilians also got the opportunity to live-fire U.S. special operations weapons, handle both U.S. and Azeri weaponry and communications equipment, and chat with the SEALS about their mission. Jim Schloeman, president of the Transport Museum Association in St. Louis, Mo., called the opportunity to observe the training and ride in a rigid inflatable boat "awesome." "But it's really these guys who are awesome," he said. "I'm dazzled by these guys. I'm impressed that they're so unassuming, while it's obvious they have supreme confidence in their ability to do their jobs. That's pretty incredible." Barbara Kellerman, director of research at Harvard University's Kennedy School of Government, called it "really stunning" to see the caliber of the Navy SEALS working with the Azeri Navy. Kellerman said her participation in the Joint Civilian Orientation Conference has opened her eyes to the magnitude of the U.S. military mission around the world. "I've never been as struck by the reach of the American military," she said. But after visiting Navy SEALS here, Army National Guardsmen in Bosnia, and airmen at Ramstein Air Base, Germany, and Andrews Air Force Base, Md., Kellerman said she's particularly impressed by the professionalism of the U.S. armed forces as a whole something she said much of the American public doesn't fully appreciate. "A trip like this gives you a good appreciation of the armed forces both their reach and quality," agreed Carlos Saladrigas, chairman of Premiere American Bank in Miami. "It's been a truly incredible experience." MPRI, Inc., Alexandria, Va., is being awarded a $19,000,000 not-to-exceed firm-fixed-price, indefinite-quantity contract to provide a laser marksmanship device/system to meet the training needs in basic rifle marksmanship and preliminary marksmanship instruction for the U.S. Army, U.S. Army Reserve, U.S. Army National Guard and the Governments of Columbia and Azerbaijan. In addition, this contract provides for new equipment training and total system performance responsibility type warranty for up to three years per device. This contract combines purchases for the U.S. Army ($5,707,000; 92 percent) and the Governments of Columbia ($631,550; 7 percent) and Azerbaijan ($86,418; 1 percent) under the Foreign Military Sales Program. Work will be performed in Alexandria, Va., and is expected to be completed in September 2008. Contract funds will not expire at the end of the current fiscal year. This contract was not competitively procured. The Naval Air Warfare Center Training Systems Division, Orlando, Fla., is the contracting activity (N61339-07-D-0007). Is a US-Financed Azeri Satellite A Threat to Armenia’s Security? Azerbaijan is hoping to finalize a deal with the U.S. Export-Import (Ex-Im) Bank, a U.S. government agency, to finance a multi-million dollar satellite financing project. The loan will afford Azerbaijan’s Ministry of Communication and Information Technologies the needed funds to purchase an advanced satellite, ground control equipment, and secure the necessary training. A U.S. supplier, Orbital Sciences Corporation (Orbital) of Dulles, Va., has been contracted for the project. Armenian entities fear the new satellite’s use will extend to military applications, threatening neighboring Armenia and the Nagorno Karabagh Republic. Azerbaijan’s Communication Ministry claims the satellite, dubbed Azerspace, will be used for the purpose of commercial telecommunications by one of its agencies, the International Relations and Accounting Center (IRAC). It says the satellite will provide telecommunications and broadcasting services for the Republic of Azerbaijan, with its leftover capacities servicing customers in Africa and Central Asia. 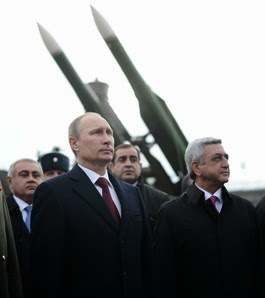 However, Armenian entities have expressed concern over its possible military use. Azerbaijan’s government has not shied away from aggressive language and outright threats of war while discussing Karabagh, going as far as calling Armenia’s capital Yerevan an ancient Azeri city. Because the loan amount will exceed $100 million, Ex-Im Bank needs approval from Congress. In January, the bank’s president, Fred Hochberg, addressed a letter to Senate President Joseph Biden summing up the transaction description and explanation of the bank’s financing plan. According to reports, Azerbaijan has already apportioned about $25 million to the satellite; the bank will cover the remaining $96 million for manufacturing expenses, in addition to funds for related costs. Recent threats by Azerbaijan against Armenia reached a new high when Baku announced it would shoot down civilian aircrafts flying from Armenia to the newly renovated airport of Stepanakert in Karabagh. The airport is due to reopen on May 9. The director of Azerbaijan’s Civil Aviation Administration, Arif Mammadov, said the Azerbaijani government had not authorized such flights to Karabagh. “We notified that the airspace over Karabagh is closed. The law on aviation envisages the physical destruction of airplanes landing in that territory,” he reportedly told APA news agency. U.S. Ambassador to Azerbaijan Matthew Bryza called this threat “unacceptable,” but fell short of calling on Baku to withdraw its warning. Meanwhile, Armenia’s President Serge Sarkisian said he would be on the first civilian flight to Karabagh. Two weeks later, on April 1, the spokesman for the Azerbaijani Foreign Ministry, Elkhan Polukhov, reportedly said, “Azerbaijan did not and will not use force against civil facilities, unlike Armenia, which has earned notoriety for terror and war against the civilian population.” Nonetheless, it is hard to dismiss a threat of that magnitude, hurled along with other threats of a resumption of war. Azerbaijani President Ilham Aliyev, speaking on the occasion of Novruz, said he had no doubt Azerbaijan would “restore its territorial integrity.” He did not rule out the use of force, noting the country “is paying serious attention to army building.” “The ever-strengthening Azerbaijan is absolutely confident that this issue can be resolved in any manner… There isn’t and can’t be any other option. The Azerbaijani people and state will never tolerate a second Armenian state on their historical lands. Nagorno-Karabagh will never be granted independence,” said Aliyev. The Armenian National Committee of America (ANCA) has sent a letter to the president of Ex-Im Bank and consulted with U.S. legislators regarding the Armenian American community’s concerns and objections regarding the Azerspace Satellite Project and its potential military use. Sources close to Armenian authorities report that officials in Yerevan have also raised concerns on this matter with the U.S. government. 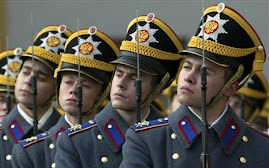 Azerbaijan has said that it plans to launch the satellite between July and Aug. 2012. The Armenian Weekly has contacted both Ex-Im Bank and Azerbaijan’s Ministry of Communication and IT for comments. Neither has responded. NATO stands behind recent Karabakh-related threats of Azerbaijan, according to the head of CIS institute. As the political expert Mikhail Alexandrov stated, double standards are used in Karabakh conflict settlement, with Russia having to maneuver between Armenia and Azerbaijan. “Position of the West on the proven fact of the Armenian genocide in Karabakh is unclear, as well as putting democratic regimes in Armenia and NKR on the same level with authoritative power in Azerbaijan,” the expert notes. According to Alexandrov, Azeri threats is a way to pressure Armenia, the West being the first to benefit from delays in conflict settlement. “The loosing party is to be the one to make concessions. Azerbaijan, the loosing party, is attempting to force Armenia into concessions. 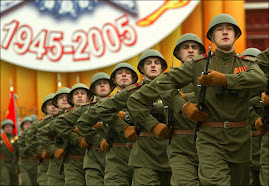 And the West, specifically NATO, are behind this,” Alexandrov stressed. The expert is confident that the Alliance needs Azerbaijan as a corridor to Caspian Sea region, using Karabakh as a leverage of pressure on Azerbaijan, Argumenty i Fakty newspaper reports. 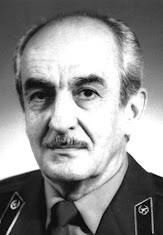 Former advisor to Azerbaijani president Heydar Aliyev Vafa Guluzade said that the Armenian troops would have occupied major part of Azerbaijan in 1994, if it were not for the West’s support of Baku. Guluzade said in an article published by Yeni Musavat paper and placed on Caucasus-Online website that the oil factor was the decisive one in the 1994 agreement on ceasefire in Karabakh. Otherwise, the Armenian troops would have reached Kura River and Kurdamir in the central part of Azerbaijan, what would have jeopardized Azerbaijan’s existence as a state. “Only the interest of the U.S. towards Azerbaijan prevented implementation of these plans,” said Guluzade. He believes that energy resources and transit opportunities of Azerbaijan have secured the West’s interest towards the country, what has protected the country’s independence. “Azerbaijan’s independence would have been formal, if it were not for the American interests. Right the oil factor has secured Azerbaijan’s importance for the western states. Oil, gas and transit potential of Azerbaijan increase its role for the West and allow withstanding Russia,” Guluzade said, adding that greater integration with the West would only strengthen Baku’s international positions. Armenia is currently not eligible for receiving additional U.S. economic assistance under a program designed to reward good governance and reforms around the world, U.S. Ambassador Marie Yovanovitch said on Friday. She said the approaching parliamentary and presidential elections in the country will be an opportunity for the Armenian government to improve its democracy and human rights record and thus again qualify for the Millennium Challenge Account (MCA) program. 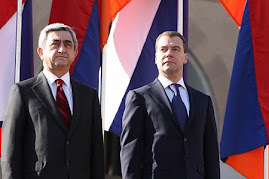 The U.S. government approved $236 million worth of MCA assistance to Armenia in 2006 to finance a rural development plan submitted by Yerevan. In June 2008, Washington scrapped a $67 million segment of the aid package, which envisaged the reconstruction of hundreds of kilometers of rural roads. The decision was widely attributed to a disputed presidential election held in February 2008 and a harsh government crackdown on the Armenian opposition that followed it. The aid cut did not affect the rest of the MCA funding which is being mainly channeled into Armenia’s battered irrigation networks. Their ongoing refurbishment is due to be completed this September. Yovanovitch and Armenian Prime Minister Tigran Sarkisian visited on Friday the central Aragatsotn province to inspect local irrigation canals that have been rehabilitated with MCA funds. They also met with farmers that have received training as part of the same scheme. Yovanovitch specified that President Serzh Sarkisian’s administration should, among other things, hold more democratic elections. “As Armenia enters into an election cycle, with parliamentary elections next year and presidential elections the year after, there is an opportunity to boost these indicators,” she said. “Obviously, conduct on the day of elections is an important thing but so is freedom of the press, freedom of assembly, the many other things that go into general good governance,” she added. I personally was sympathising with the Environmental activists regarding Trchkan, Teghut and other problems. However, I just couldn't comprehend why in the world would they go to the US Embassy? They were, to me, a great homegrown organisation, far from politics, and should have stayed that way. But when I saw that they too were present at the embassy, then all I can say is that all kinds of civil movements must be politicized, unfortunately. If these activists kept fighting in Armenia to stop some serious environmental problems, things would have been much better both for the people and the goverment... Aren't there ANY civil movements that aren't funded by other powers? According to me, there is only one way to battle Armenia's internal problems, and that is if we start cleaning things from inside, for example by becoming members of Hanrapetakans and weaken the oligarchs control over the economy, by keeping the same Policy the party has been doing, and by working on reforms. There is one man whom I respect the most and is working on making reforms from inside, and that is Vazgen Manukyan. Svetia, your comments are truly appreciated. Sadly, the Armenian Diaspora (the Western and Middle Eastern Diasporas in particular) has become a serious liability for the homeland. I have written a lot about this topic in various venues, including this blog. And needless to say, I have made many enemies as a result. But I feel the heavy burden of history on my shoulders. I will continue speaking my mind even if most will hate me for it. In fact, Considering the low intellectual caliber of those who oppose my political ideology, every hate mail I get, every cold shoulder I meet these days I accept it as a badge-of-honor. I want to say that no, I am not a "proud" Armenian. I also want to say that when two Armenians meet anywhere on earth they CANNOT create a new Armenia. Good or bad, we have only but ONE Armenia and that Armenia is (perhaps unfortunately) located in the south Caucasus. I'm an Armenian nationalist. I care about the homeland (which in my opinion is eternal) much more than I care for the arrogant chobans that currently occupy it. The masses are merely a means with which an intelligent leadership needs to exploit for the long-term betterment of the state. Being that you are from Lebanon you should know very well that an Armenian can be a "proud Armenian" even without ever setting foot in Armenia, or even liking "Hayastantsi"s or even genuinely caring about Armenia. In fact, due to our massive egos, many Armenians today are in fact "proud" Armenians. The pride in question is simply an extension of the personal ego. Having said that, very-very few amongst us are "nationalistic" Armenians. Unlike our typical proud Armenians of the Diaspora, an Armenian nationalist's center-of-attention will always be the Armenian state. An Armenian nationalist places the importance of the state above the self-serving whims of the ignorant and often times self-destructive masses. Therefore, in the big picture, I don't have much respect for our "proud" Armenians of Glendale, Paris, Beirut, Istanbul or even Yerevan. We as a people desperately need more nationalists not "proud" Armenians. Yeghia Nersesian (the pseudo-environmentalist from Syria) has been living in Armenia off of Western NGOs since the 1990s. Treasonous, psychologically troubled, stupid or simply money-hungry characters are how imperial interests in the West infiltrate and subvert targeted nations around the world. As far as I'm concerned, their good deeds and their good intentions are negated simply due to the fact that they are directly or indirectly serving an imperial interest that can potentially destroy Armenia. Don't believe me? Take good a look at Libya and Syria. It all started there as a "humanitarian effort". And don't stop by only looking at Libya and Syria. Take a close look also at what they have done in places such as Cyprus, Serbia, Iraq, Iran; and what they tried to do in places such as Venezuela and Russia. Trust me, if given the chance (in other words, if Russia somehow abandons the south Caucasus) the West would waste no time in turning Armenia into yet other blood-drenched failed state under the supervision of Turkic and/or Islamic. For obvious geostrategic reasons, Turks and Sunni Islamists are the West's best friends. Utilizing their extensive assets and levers such as the Dashnaktsutyun based in the US and various other US-based Armenian organizations such as Armenian Assembly of America and Policy Forum Armenia, they are succeeding in turning a significant portion of the Armenian Diaspora against the Armenian homeland. Moreover, through filth like Levon Petrosian they have even recently tried to exploit tribal division within Armenian society. If given the chance Western imperial interests will pit Diasporans against Armenia and Armenians of Armenia against Armenians of Artsakh, very similar to what they are currently doing in Arabic/Islamic nations. 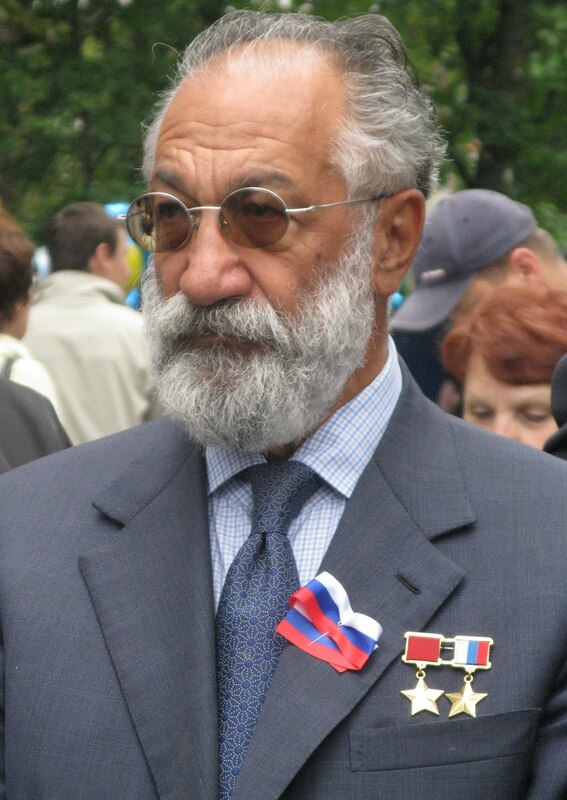 PS: Vazgen Manukyan has always been my favorite politician. In fact, I see him as the ONLY real politician in Armenia today. Thank you for your kinds words. It is always a pleasure visiting your blog, as I have finally found ideas that reflect mine. Unfortunately, Armenians of our political ideology are still a minority in our Armenian World. It is up to us to convince and show them the light. You're right. The majority of Lebanese-Armenians(from all political parties) rely on their "pride" of being Armenian as you said. They don't give a damn about today's Republic. Instead, they pride themselves by proclaiming Bourjhammoud as the "capital of the Armenian Diaspora". I have also visited different communities on your side of the ocean, including LA, Montreal, Toronto and New York as the main ones. All I can say is the communities there are much more assimilated than here. 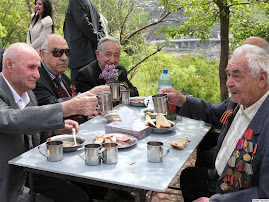 They show their "pride" mainly by serving and eating "Armenian" food, sing and dance to "Armenian music"(if you know what kind of music I mean), parade/demonstrate during April 24, and that's about it. The most patriotic Western Armenian Diaspora community which I've seen is the Argentinian one. All agoumps and churches are on one street which is named Armenia(Buenos Aires). True that most of them speek spanish, however their top priority is today's Armenia. I believe that when you say Nationalist, you mean an Armenia-Centric nationalist, because many Armenians understand Nationalism as the "cause of the Armenian people" = Hay Tad/Genocide Recognition. We have no other choice but to look at today's Republic of Armenia as our own. There is no such thing as "I have Cilician origin"... all of them have come from Historical Armenia. Since 1991, All Armenians' top priority should be strengthening the statehood of the Republic of Armenia: "Հայրենիքը պետք է սիրել անկախ այնտեղ տիրող քաղաքական ռեժիմից և ձեր քաղաքական համոզմունքներից" Գարեգին Նժդեհ. These words of Njdeh pretty much sum up part of my ideology. I had no idea about Yeghia being funded by western forces. How come did they find him? I really feel bad that the environmental movement got politicized too. WHY THE HELL did they go and give the "Teghut Medallion" to Clinton??!! What does she have to do with all of this?! and if they go to Clinton, why didn't they visit any other official visiting Armenia(especially, why couldn't have they gone to the Russian Embassy for example)? Simply because Russia is the "bad guy", while the USA is the "saviour". I still don't get it. 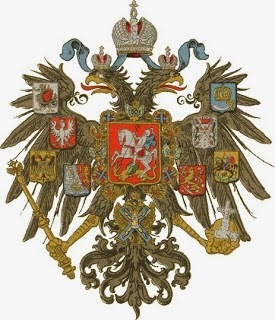 While many nations(Serbs, Russians, Ukrainians, Persians, Chinese, Syrians, Central Asians, Filippinos, some Latin Americans, French people, Germans) are understanding that the Russian choice is a better one, WHY MOST OF THE ARMENIANS STILL DO NOT COMPREHEND THAT? Why should every single civil movement, be it environmental, social or other, go and kiss the feet of an outside force that doesn't care a bit about our country? We have got a long painful road to go. Our internal enemy is much worse then the exterior ones. There is no such thing as "United Armenians", there is only Armenia-Centric Nationalists(with a little touch of realpolitik diplomats)(minority) on one side, and lahmajun-eating-turkish-sing-and-dancing+qyart-atheist-illiterate-utopist "patriots"(majority) on the other. The panel discussion post was quite interesting. It only shows that how American-Armenians are subconciously breaking their bond with the Republic. As you said, the psychological/spiritual damage done today is much worst than genocide. We have lost of real Pride, pride of having been one of the oldest existing nations. I have said this before: Sometimes I wished I lived during the Artashesian Dynasty. Regarding Vazgen Manukyan, since he is the ONLY real politician in Armenia, that is why nobody let him come to power(think about what could have happened if he became the real president in 1996). Anyways, keep up the good work. I also read your previous post regarding Cold War 2. Most of its articles are quite useful, I will show them to my "opponents" in order that they get a better idea. By the way, do you have any information if Lezghis or Talysh people seek to be independent of azerbaijan? I am not too familiar with internal matters in Azerbaijan. Having said that, I do know that there are some issues between Baku and its ethnic minorities. Without exception, all tribes/nations on earth yearn for independence in varying degrees. Therefore, Azerbaijan's large minorities are not an exception to this rule, and they are a good source to exploit towards political gains. - Yesterday I argued with someone about how Armenians created the First Republic of 1918. - His argument is that if the Allied forces didn't put pressure on Turkey, their forces wold have continued marching in Armenia, meaning that Sardarabad and the other two battles are meaningless. - My argument is that we won thanks to Aram Manougian(not the ARF)and the way he organized the people to fight and resist. And in my opinion, the turks should have retreated at that time because their empire was losing on all sides, they couldn't afford continue fighting a new front, also WW1 was coming to an end and the other Central Powers were defeated. What is your opinion/idea on all of this? I'd be interested to know what those who you discussed this topic with are basing their opinions on. Do they have any reliable sources they can refer you to? If you would like you can give me your email address. I wont post it. I have heard this as well, and it is infuriating. I heard it from two "Beirutsi" Armenians here in Los Angeles, who basically used it to explain why they are superior to Hayastantsis. You see, according to them the European (French, English, German, ect...) Crusaders went through Cilician Armenia back during the eleventh and twelfth centuries, and apparently their օտարամոլ ancestors gave it up to these superior Europeans, and those superior genes were passed on to these descendants of the Cilician Armenians. How self-degrading! I have full respect for the (former) greatness of England, France and Deutschland, but have some pride in having Armenian genes. 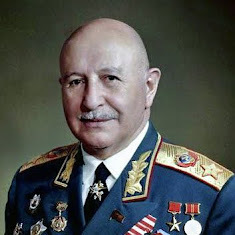 I can theoretically imagine (but I've never heard )some Hayastantsi claim that he is superior because back in the day Russian troops banged his great grandmother resulting in an infusion of amazing Russian DNA into his bloodline... You're right when you call these people ignorant and illiterate peasants, and that's being kind to them. Separately, I have also been curious about the founding of the first republic in 1918. Hovannisian et al claim that the turks, in a stroke of brilliance, figured that if they could force Armenia to declare independence then turkey could have its way with Armenia and Russia would not have any reason to interfere. 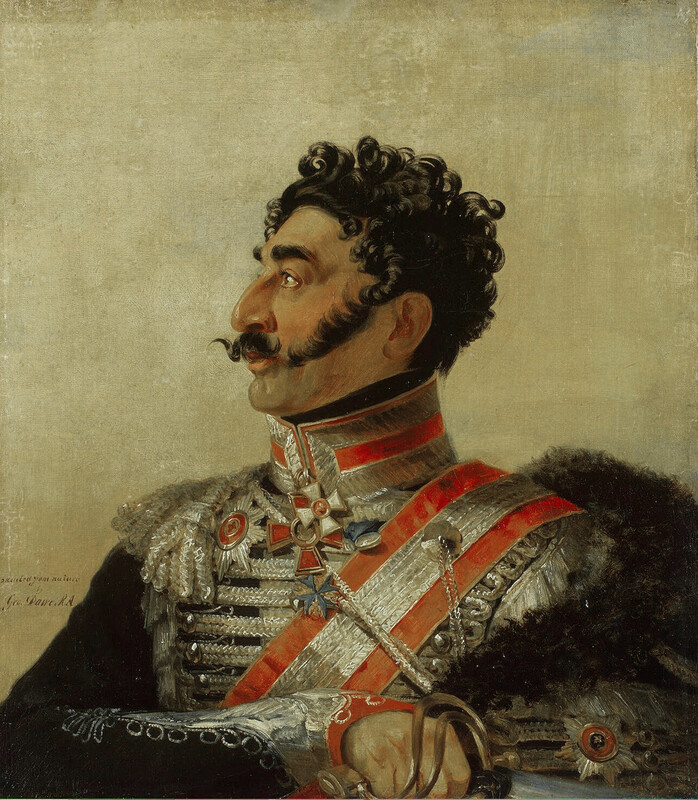 Thus Armenian/arf leaders were supposedly outmaneuvered by the turks and strong-armed into reluctantly declaring independence... Later after the victory at Sartarapat, the arf leaders begged the turks to allow Armenia to exist, and the turks agreed because their army was busy on other fronts. This narrative seems wrong to me, especially given the proponents anti-national agenda. Any thoughts Arevordi or Svetia? I discussed with Arevordi about this topic. The conclusion that we came to is that for sure after the three famous battles(Sardarabad, Ghara Kilisa, Bash-Aparan), a foreign power put pressure on turkey not to continue entering Armenia, because as Arevordi said to me "the turkey of 1918 was by far stronger than the Armenia of 1918". After having said that, I concluded that the only possible foreign power(s) to put pressure on turkey at that time would be the Allies, who came out as the victors of WW1. In any case, declaring independence was not complete victory for Armenia(Treaty of Batum, Armenia-Georgia War, Armenia-azerbaijan war, Turkish-Armenian war (1920), Bolshevik invasion, refugees, diseases, landlocked, no economy, nothing). I say this with a heavy heart but under these circumstances Armenia was going to fall sooner or later. We have never been in such a negative geopolitical position. For the first time in Armenian History, our former major trading routes are blocked. The country barely breathes through Iran and to a lesser extent Georgia. As always, we also do not have access to water. 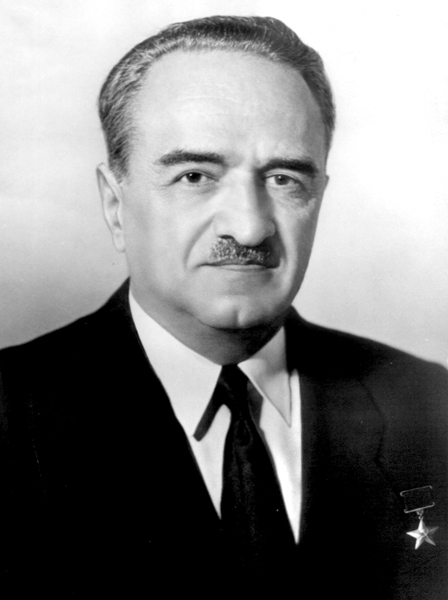 However, where we really turned out victorious was Garegin Njdeh's heroic resistance in Syunik. 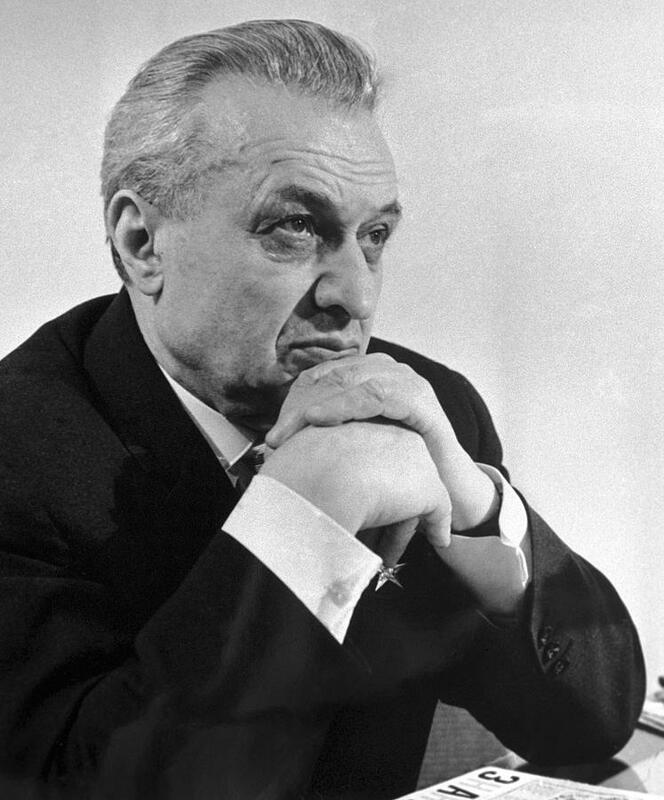 Thank to him, Zangezur was left in Armenians' hands, and the pan-turanism dream was put on hold. Thank you for your very insightful contributions and articles. I am an Armenian from Lebanon, I admit that we are very ignorant when it comes to geopolitics, realpolitik, pipeline politics etc...our understanding of current events cannot be more primitive, but who to blame, for hundreds of years we have been living in a primitive environment, the process of personal awakening, rational thinking and care taking for the Armenian state is a very slow process. I 100% agree with all what you have written, Armenia's security guarantee is only provided by Russia at this time, but we also have to make our best to establish a strong, capable, unified and independent state that is able to stand on its feet, because even Russia at some point might be weakened and distracted by its own internal issues. We have to learn from events of the past. 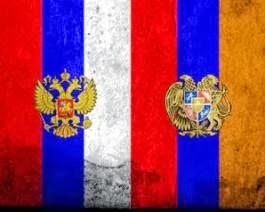 Armenia should grow in its alliance with Russia. Fair trading and economic transactions with EU also is critical for our survival. Thank you for writing, comrade. I fully agree with what you have written. We as a people are only now awakening from our one thousand years sleep. I do, however, have great confidence in the new generation. Likewise, I do have great hope for Armenia. My thoughts regarding Russian-Armenian relations reflects yours 100%. We have to learn how to use/exploit the historic opportunity Russia is providing us to better Armenia. We of course realize that Armenia needs Russia, but to a significant degree, to a geostrategic degree, Russia needs Armenia as well. We need to effectively exploit this situation to expand Armenia's borders and breakout of our current mountainous prison. We need to embark on a pan-national agenda within the halls of the Kremlin instead of wasting time&money in an anti-Armenian vipers nest like Washington. Not only the EU, Armenia also needs to develop better economic and political ties with Iran, India and China. In my opinion, what Armenia doesn't need is ties with the Anglo-American-Zionist political order. The AAZ can only mean trouble for a fledgling and vulnerable nation like Armenia. There is absolutely nothing that the AAZ can provide Armenia that Armenians can get elsewhere and get without the dangerous political strings that come attached wit Western "aid". The Anglo-American-Zionist order and its corrosive belief system known as Globalism (including but not limited to multiculturalism, liberalism, ecumenism, American pop culture, the primacy of the US Dollar, the English language, etc) is the primary enemy of God, indigenous cultures, the nation-state and the family unit. 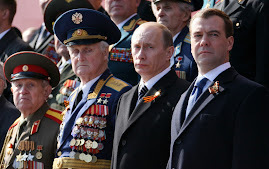 The Russian nation today is the only political entity on earth that is capable of standing up against them. 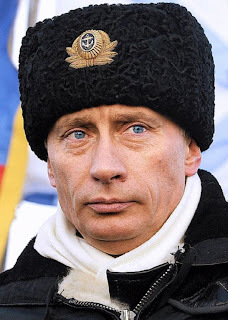 In fact, for ten years I have been announcing that Russia is the last front against American imperialism, NATO expansionism, Globalism, Islamic fundamentalism, Zionism and pan-Turkism. God bless Mother Russia. God bless our Hayreniq.